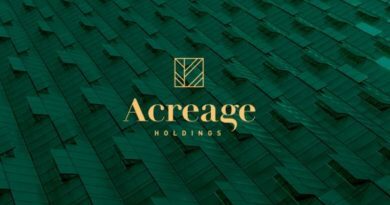 Yesterday Green Growth Brands (CSE: GGB, OTCMKTS: GGBXF) advanced its CBD strategy through the announcement of a major partnership. Simon Property Group, the largest mall operator within the United States, and Green Growth signed an agreement for the company to gain access to malls across the country. In total, Simon Property Group currently owns and manages 108 mall properties across the United States for which Green Growth has acquired the ability to open its mall kiosks within. The primary objective will be for the Seventh Sense Botanical Therapy brand to enter these centers, in addition to the other GGB brands currently under development. Who is Simon Property Group? The company that Green Growth Brands has partnered with is no slouch in the market. It’s currently the largest mall operator in the United States, in addition to being the only REIT currently included within the S&P 100 index. Simon focuses on high-quality real estate that is able to demand a premium in the market – it’s current base rate per square foot is $53.88. This in turn results in not only high caliber clientele, but also consumers with disposable income available for high end goods. Within fiscal year 2017, Simon Property Group was able to bring in net incomes of $2.24 billion as a result of this high quality market focus. This came as the result of owning 209 properties in total, across not only the United States, but several continents. In a single year alone, 3 billion consumers graced these properties with their disposable income. Speaking specifically to the United States market, Simon has properties from coast to coast which can be leveraged by Green Growth Brands. In total the company is located within 37 states, almost all of which consist of a mall platform for which Green Growth will have access to. Conveniently, this distribution happens to cross references quite well with states in which cannabis products are legal in one form or another. As a result of this agreement, Green Growth will now have access to this market segment of high end consumers in retail locations that are highly productive from a revenue standpoint. With these centers being located across the country, through this agreement Green Growth has accessed a highly desirable market segment nationwide in a short amount of time relative to peers. The platform to be utilized by Green Growth within Simon malls will be that of its kiosks. Developed and designed around the small footprint and thus the inherently low rental fees, GGB kiosks are expected to generate consistent margins of roughly 32% EBITDA. These kiosks are to be located in high traffic areas centered around desirable brands, such as Apple and Tesla as per the company’s investor presentation. Although small in square footage, the platform is designed to be high in impact, delivering revenues of $1,250 per square foot annually within the first year of implementation. This equates to roughly $228,000 per kiosk – of which Green Growth intends to have 302 operational by years end. The company in total expects to generate an estimated $30mm in revenues from these small shops in FY19 alone. 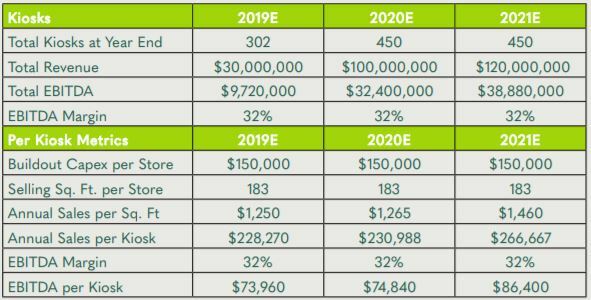 Further to these figures, Green Growth forecasts that for each dollar of retail spend on CBD, there will be $1 of e-spend on its CBD products. Inherently this means that the kiosks will be the driver of sales for the e-commerce portion of business. 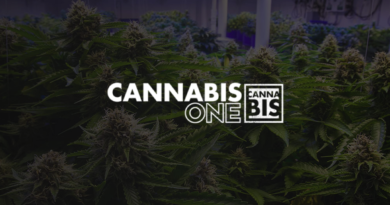 It has been estimated that 35% of CBD sales will come from that of Green Growth Brands online sales platform while delivering 36% EBITDA margin. In terms of branding, it’s evident that initially Green Growth will be focused on marketing its Seventh Sense Botanical Therapy brand through these kiosks. The brand appears to mirror that of Bath & Body Works mixed with a CBD component based on the imaging the company has utilized. This gives us a glimpse into the possible success of the branding efforts for the product line, again given the experience and history of the Green Growth management team. In addition to Seventh Sense, Green Growth has provided kiosk renderings for its Camp brand of products. This line is intended to be much more youthful in nature and captures the essence of the surf community. However, it is believed that this brand is geared more towards cannabis rather than that of CBD. 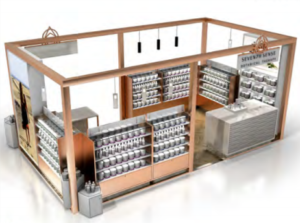 Nonetheless, the rendering provides a unique display for a mall kiosk that can be identifiably associated with the brand. Given the guidance issued by Green Growth for a total of 302 kiosks to be opened within 2019, we can make a couple of conclusions on the CBD aspect of the business. First, is that it is likely that two kiosks will be opened per mall. Whether this is two separately branded kiosks or two similar brands is yet to be seen, however given the small footprint of these shops and the size of Simon malls this is a reasonable assumption. Assuming that kiosks are opened in each mall, this would give Green Growth roughly 216 kiosks by year end. Thus, in order to maintain its estimate of 302 kiosks by FY20 a second operator agreement would need to be put into place to achieve guidance. Green Growth Brands anticipates that its first kiosks as a part of the Simon Property Group agreement will open in March 2019. The first location is set to be Castleton Square Mall in Indianapolis, Indiana. Although guidance was not provided for how many shops will be opened under the agreement, the news release states that the remaining shops will be in place by the end of 2019. 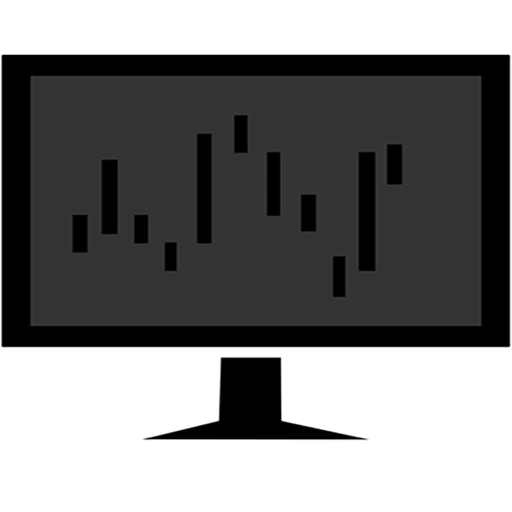 Green Growth Brands closed at $5.70 down -$0.03, or -0.52%. Information for this briefing was found via Sedar, The CSE, and Green Growth Brands. The author has no securities or affiliations related to this organization. Not a recommendation to buy or sell. Always do additional research and consult a professional before purchasing a security. The author holds no licenses.